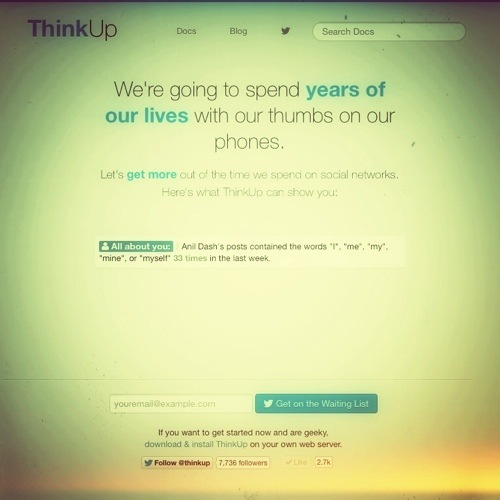 ThinkUp is a open source social media analytics tool used by the Obama administration to manage their twitter feed. Installation is fairly simple ( no more difficult than WordPress ) and they guide you through configuration steps for Twitter, Facebook, Google Plus, and Foursquare. I’ve created a little test install on my own server and I’m pretty excited to see what comes of it.